Solder the wires pin for pin between the two connectors. Never mind the color changes. We are looking for pin to pin pass through. The finished amp output to rear speakers jumper. Stick it in the connectors so that the black connector is used for the rear speakers. The radio output plug can only go in the right place. 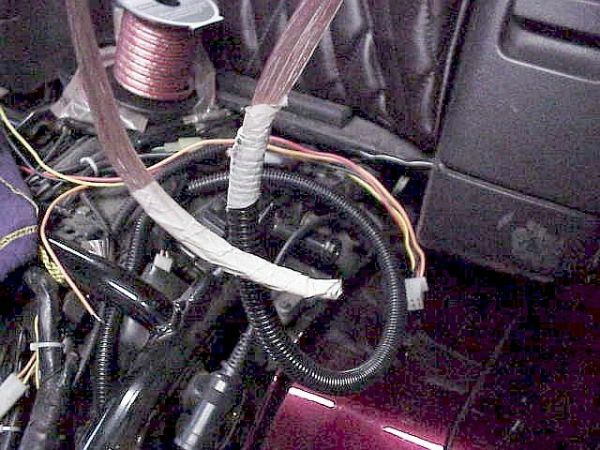 The front speaker wiring will be getting re-wired directly from the trunk amp with better wiring. Last edited by AZgl1800; 12-29-2015 at 10:25 AM. 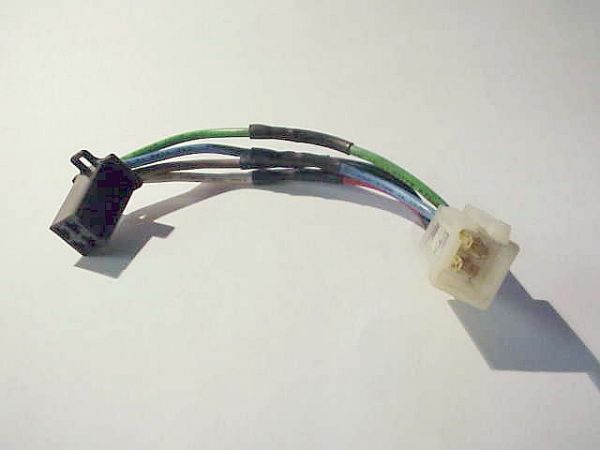 So it goes here: The unused connector is the front speaker wiring which we will not be using because we will be adding beefier wire directly from the amp to the front speakers and not using the much thinner wire in the harness anymore for that. Put in some fresh wires for the front speakers from the trunk power amp. If you are smart, you will use the slitted plastic duct conduit wherever you want things not rubbing through to the frame like amp outputs and +12 power wires. 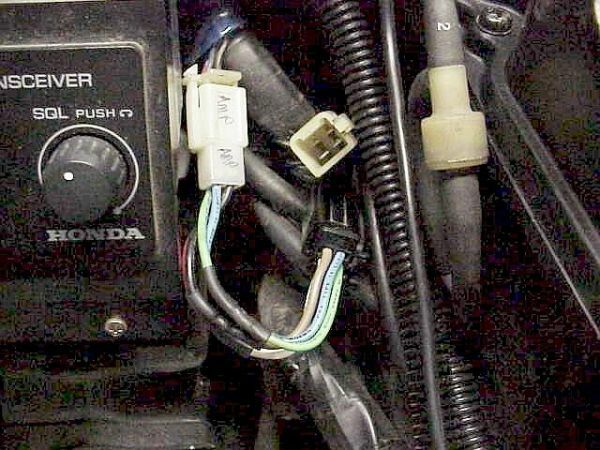 And once you get that beefy wiring up there, you might as well put in some decent speakers, otherwise what's the point of all this? 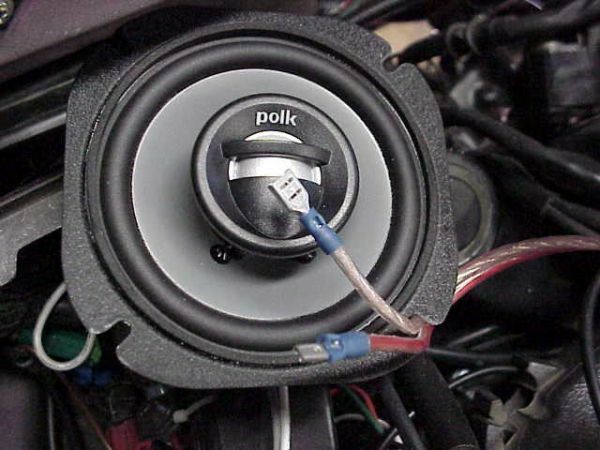 Do some wiring for the rear speakers and pick up the radio output from there too with another small wire as it won't be handling much audio power anymore. (Pioneers in there) Do both sides. 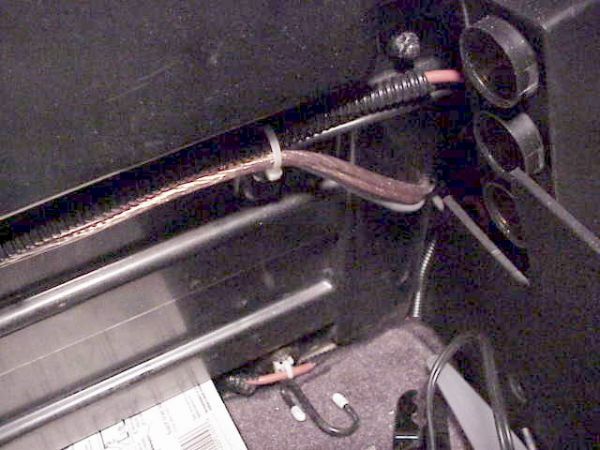 Basically, your rear speakers get new beefier wire from the amp and the speaker box acts as a simple junction box to extend the original wiring (now carrying the radio output) so you can get it to the amp inputs. So what you have in the picture is on the left side is the black jacket of the original speaker wires going into the speaker box, the gray cable is the same speaker wiring coming back out of the box and going to the amp input and the clear/red one is the new wiring that now goes to the speaker from the amp output for that channel. I run two separate 10 gauge, 30 amp fused pairs +12 and Gnd direct to the battery) of wires to the front of the bike for lights, horns, gerbings, lighters, GPS and voltmeter and to the rear for the amp, eq, trunk lighters, and rear gerbings. See how to do that in the link in my sig, below. 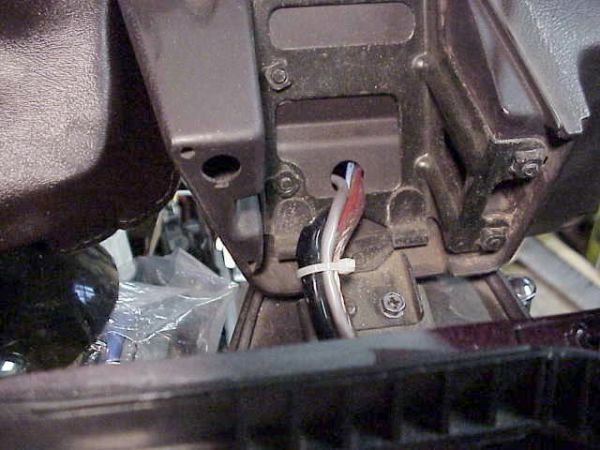 Here is a shot of the rear wires entering the rear box. All are fused as a 30 amp main and then sub-fused for each device. Notice that enters the box at the bottom then travels across to the other-side under a ridge that protects it and causes no loss of space. Last edited by AZgl1800; 12-29-2015 at 10:29 AM. 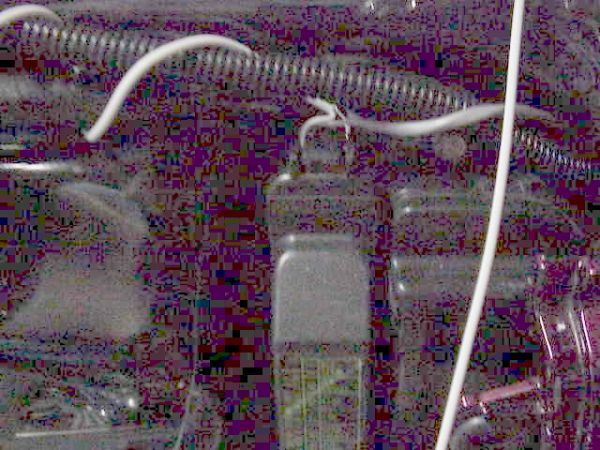 There is a 40 amp relay at the back and under the front left fairing pocket which are driven directly by the aux power 5 amp fuse in the fuse block. This gives me 30 amps front and 30 amps rear separately switched from the aux panel. 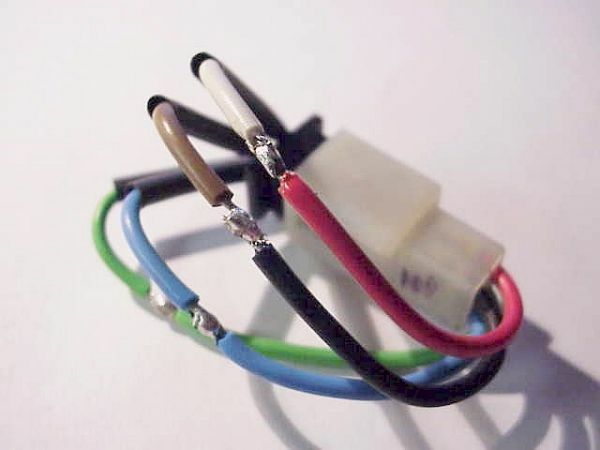 No other loads are ever put directly on the aux terminals, just the two relay coils. This gives me both high current switched and raw power front and back. Add ons are no sweat after that. Sorry for the pix quality. 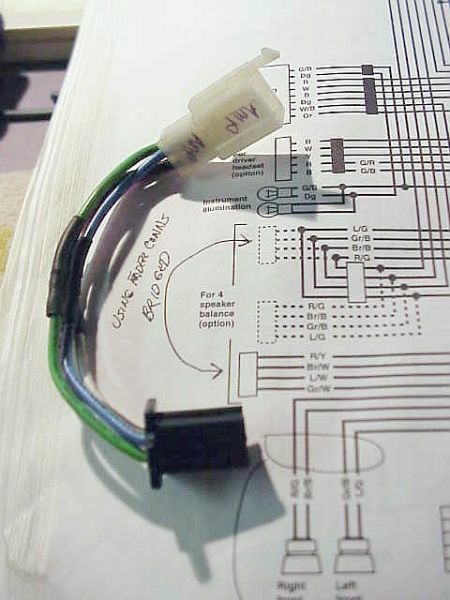 As I mentioned above, I now have a page on my site for distributing power through your bike without loading the existing system. It is in the link in my sig, below. Last edited by AZgl1800; 12-29-2015 at 10:30 AM. Finally ready to deal with the big stuff. 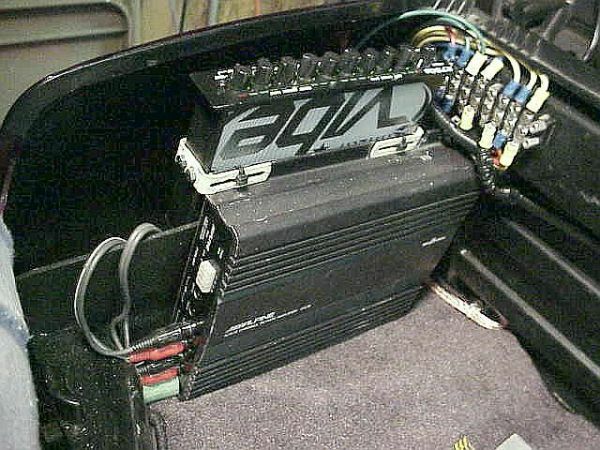 I really didn't want to lose the front-to- back space in my rear box so I decided to mount the amp on the side divider bridged with the equalizer and line impedence adapter. I need my computer and helmet space. The amp was $40 ebay and the equalizer was $24 ebay. The stereo impedence adapter was $20 circuit city. Note the equalizer mounts made out of some modded curtain rod hanger brackets I swiped from the wife's stash. Hey it's a team effort isn't it? How about the green garden hose halves used to shock mount the amp and force it forward so it can't get loose.... no screws mount any of the amp, eq or line in converter. It all lifts out saddled on that space divider.